Sicily is for many of us associated with organized crime through the infamous Sicilian mafia. My good friend, and Enjoy Food & Travel co-writer, Ketil Zahl and his wife Astrid stayed on the island during Easter. What they experienced, left a completely different impression. Good food and wine, intriguing historic sights, sun, sea and heat. 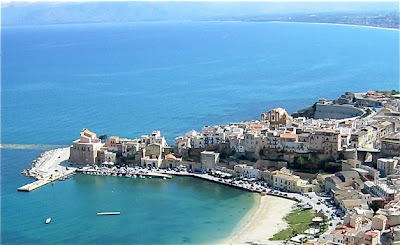 They stayed in Castellammare del Golfo the first part of the vacation. 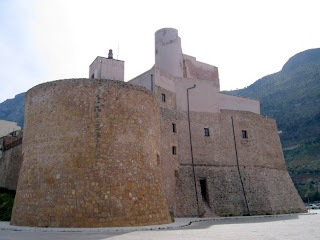 Castellamare del Golfo means the Sea Fortress of the Gulf, after the medieval fortifications at the old harbour. In ancient times it served as a harbour of Segesta, the main centre of the Elymian people. Ketil and Astrid stayed at Punta Nord-Est Hotel, located on a cliff overlooking the old city and the Mediterranean. 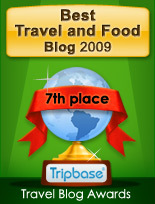 Ketil will share impressions of Punta Nord-Est hotel and the city here on Enjoy Food & Travel. 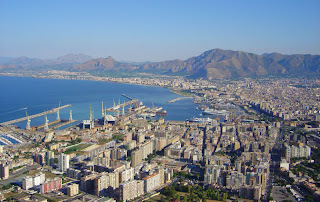 Palermo is a modern metropolis, with more 1,3 million inhabitants. It was founded by the Phoenicians 2700 years ago, and Greeks, Romans, Byzantines, Arabs, and Norman cultures have left a important historic sights and an exciting cuisine. Enjoy Food & Travel Ketil Zahl visited the Catacombe dei Cappuccini, Palermo, catacombs where Sicilians were buried. Many were enbalmed before burials, and others ended up naturally mummified, due to the conditions found in the catacombs. The catacombs were in use from 1590 and way into the 20th century. One of the most famous is the enbalmed corps of two year old Rosalia Lombardo that died in 1920. Another major sight is the Cappella Palatina, the ornate chapel of the Norman kings, located in Palermo palace (right). 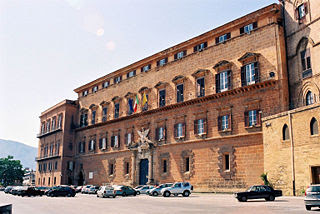 They had a double room at Hotel Cortese, located the historical center in Palermo in a typical 18th century villa. 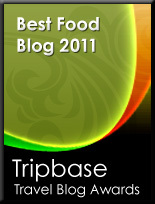 Ketil will share impressions of Hotel Cortese and the city here on Enjoy Food & Travel.